A famous frog once claimed it wasn’t easy being green and I suppose the same can be said if you’re blue. For if you’re blue, then you’re going to be seeing ad’s everywhere for a movie called “Smurfs: The Lost Village.” You may remember that a movie called “Smurfs 2” was in theaters just a few years ago, but that movie was so bad that even the studio decided not to continue to torture their paying customers with it, so they’ve rebooted the thing with this one. 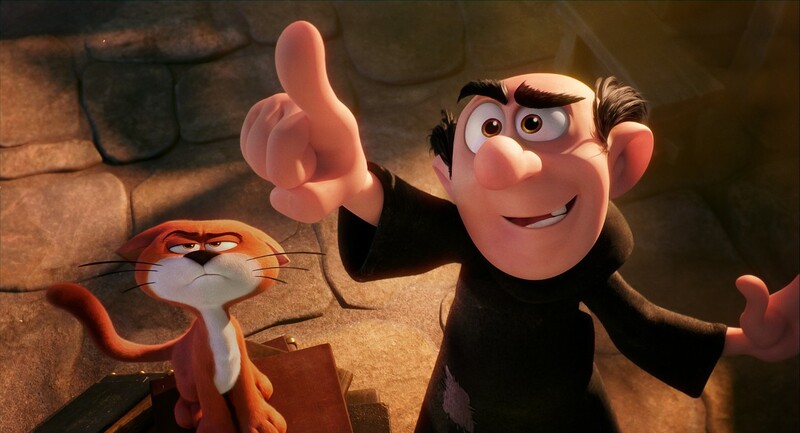 Now we have a Smurfs movie that is fully animated without a hint of live action, and regardless of how the final product turned out, I think we can all agree that fully animated is what this needed to be the whole time. That said, blue people are still likely to walk away disappointed because the rebooted product is still not good, it’s just…not as bad as what had come before. If being blue isn’t easy though, then it really isn’t easy being a girl. 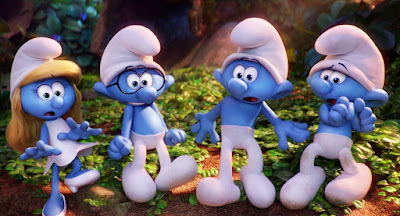 For in the village of the Smurfs everyone is a boy. Boys aren’t that complicated though (ho ho) so most of them have names in relation to their one note personality traits. Clumsy, Nosey, Brainy, Grouchy, Papa, and so forth. 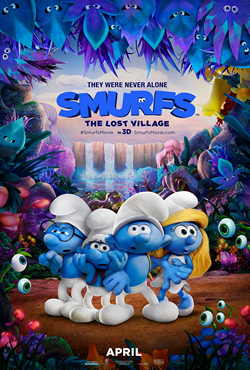 The only girl in the village is Smurfette, who baffles the rest of Smurfs. Not only because they make them feel deep Smurf feelings that they otherwise wouldn’t feel, but she doesn’t have a definite personality trait, so no one is sure what to make of her. 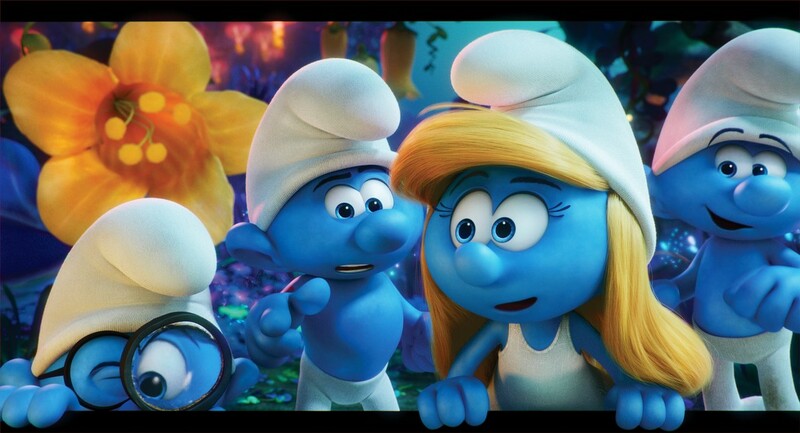 Some of you feminists may have just read that line and assumed the movie is fitting girls into a box, but in this case, it is a compliment because it means Smurfette has layers to her that makes it difficult to put a label on her. She is the only female in a village full of boys though, which is obviously going to bother her. What she could use is a journey of self-discovery. Maybe she could have that when she must find a lost village of Smurfs in the Forbidden Forest before the evil wizard Gargamel does? For that matter, maybe the journey can contain lots of visual gags, colorful creators, and pop songs that will make kids want the soundtrack on the way out? Maybe we can even throw in a female empowerment message to boot? Oh, we’ve got all these things?! Well, I guess that means the movie will be pretty…okay. Yeah, okay. This is probably where I should muse in high dialect about how all the colorful imagery and fast movement doesn’t make “Smurfs: The Lost Village” a fulfilling journey that will stick with you for years on end (or even in a couple weeks when the next family film comes out). I probably should. But, honestly, it’s the Smurfs. As a TV show it was nothing more than innocent children’s entertainment. When it made the leap to live action the results were far worse than anyone could have possibly imagined. Really, the fact that “Smurfs: The Lost Village” isn’t a continuation of those films is an improvement in itself. The fact that the movie is free from live action and can take advantage of the bright colors and smooth movements is always going to be a plus. Is it significantly better than the previous films? Undeniably, but that still doesn’t make it worth seeing. I think it works well enough for young kids, but I think it works more as a ninety-minute babysitter than it does a movie you take the family out and spend lots of money to see. I applaud the studio for taking the correct steps for fixing the mistakes they made, but doing what they should have been doing from the beginning is not enough for a passing grade. Maybe it would have if they answered my question of what color a Smurf turns into when its choking. Parents, there is nothing wrong with this film. Recommended for all ages.